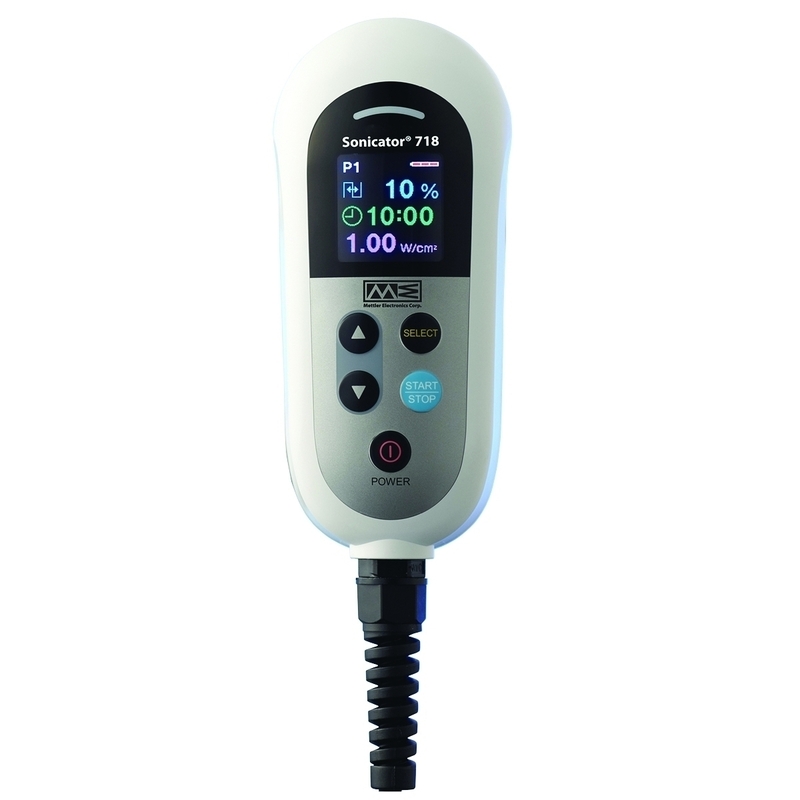 Mettler Sonicator Plus combination therapy units combine ultrasound with electrical stimulation in one compact package. These units combine the quality and ease of use embodied by the Sonicator therapeutic ultrasound and Sys*Stim stimulator products. Multiple stimulation waveforms and dual frequency applicators for therapeutic ultrasound have been included in these units to increase their utility. Sonicator 718 is a full clinical power, 2 W/cmÂ² continuous and 3 W/cmÂ² pulsed portable ultrasound. Small portable size, hand held operation. Rechargeable battery and charger for portable power. Packages include rechargeable battery, battery charger, power cable and battery case. Dimensions: 5.3" x 2.2" x 2.3"